Radical changes are taking place in the National Health Service at present. A considerable restructuring of the National Health Service has been taking place over the last few years (under the influence of the recession, resources have been considerably reduced). In place of national funding a great deal of local autonomy has been established. Now there is a purchaser/provider arrangement whereby local ‘commissioning agencies’ and family doctors can purchase services from providers. Psychiatrists and psychotherapists are in the position of having to provide services in exchange for financial support. More local autonomy and flexibility is developing, with both advantages and disadvantages. The advantages are that the demand for counselling and psychotherapy services seems to be on the increase as the public demands more and as the medical profession becomes more sensitive to these needs. The disadvantages are that with increased financial competition there is a much greater emphasis on short-term psychotherapy and competition with other forms of therapy that claim to be more efficient and economical, such as the cognitive therapies. However, there are some positive outcomes of this present-day conflict. Psychotherapists are now having to audit their work and attempt to show they are efficient in their administration and efficacious in their work. The Tavistock Clinic is leading the way in setting up comprehensive audit programmes within all its departments and employs a psychoanalytically trained psychotherapist and psychiatrist to carry out this work. I have no doubt that these new pressures will result in more efficient programmes and more active research. Under the effect of the recession and the crude economic directives to reduce costs, psychotherapies are vulnerable. Institutions of world-wide reputation, such as the Tavistock and the Cassel, have been under threat in recent years and only vigorous public campaigns have ensured their survival. It is now incumbent upon these institutions to prove their worth. Thus serious attempts are being made to show that admission to the Cassel Hospital, though expensive at the time, is worthwhile in the long term in reducing further hospitalisations and demands upon the social services, avoiding the break-up of families and so forth. A valuable bibliography Presenting the Case for Psychoanalytic Psychotherapy Services: An Annotated Bibliography has been authored by Dr. Jane Milton. Updated yearly, this presents the positive case for psychoanalytic psychotherapy and has a very useful section ‘Answers to Critics!’. It is obtainable from Linda Kaufman, Association of Psychoanalytic Psychotherapists, Tavistock Clinic, 120 Belsize Lane, London NW3 SBA (ISBN 0901882 453). The bibliographic resources are provided by the Library of the Tavistock Clinic. The Association for Psychoanalytic Psychotherapy in the National Health Service is associated with the European Federation of Psychoanalytic Psychotherapy (EFPP). This is an organization whose membership includes psychotherapists from 18 countries in the European Economic Community (EEC) and the European Free Trade Association (EFTA). The EFPP is comprised of three sections, adult, child and adolescent, and group psychotherapy, and is a valuable forum for contact and for exchanges in Europe, holding conferences and acting as an information exchange centre. Psychoanalysis continues to be practised principally in London and, in contrast to what is said about the United States, there seems to be no diminution in demand for it. It may be that less five-times-a-week analysis is carried out than previously but most analysts, including those recently qualified, seem busy. There is, of course, much greater competition now from other psychoanalytically trained psychotherapists as well as from other schools, such as the existential approach, psychodynamic counselling and group analytic psychotherapy. The psychoanalytic training still attracts good quality candidates but there is some concern that the number of medically trained students is diminishing, which will reduce the influence of psychoanalysis within the medical and psychiatric professions. On the whole, psychoanalysis is still regarded as being the most highly developed form of psychotherapy and its training the most serious, but, inevitably, it can only train a comparatively small number of persons. Many trainees are now going to other organizations which are less demanding in time and money and while also attract persons who feel that these organizations offer a more flexible and contemporary form of training. Under the present economic conditions it seems clear that a two-tier form of medical and psychiatric coverage is becoming inevitable. Psychotherapy within the National Health Service cannot possibly meet the demands of the population and its resources may be diminished as the new form of health service evolves. Thus the demand for psychotherapy in the private area will increase and, it is to be hoped, more trainings to meet these needs will develop. For the past 20 years a campaign has been exercised to establish a Register of Psychotherapists. This was an extremely difficult venture as the many different organizations that offered psychotherapy trainings had different ideas as what represented an adequate training for inclusion on a register. Finally, a United Kingdom Register of Psychotherapy has been established which will be an ‘indicative’ register. This means that inclusion on this register will show a member of the general public that the person has received a recognized training. This does not prevent other persons from practising psychotherapy who are not included in the register. A United Kingdom Council for Psychotherapy has been established to administer this register but there has been a split in the organization. The psychoanalytic training institutes, including the analytical psychologists, have withdrawn from the register as they felt that their standards were much higher than those of other organizations included. It remains for the future to see whether this division will be permanent or not. There is at present a split in the body that had spent many years bringing together the different psychotherapy organizations and creating a basis for registration. The split was caused by those organizations that see themselves training to a high standard in psychoanalysis or psychoanalytic psychotherapy forming their own confederation ‘The British Confederation of Psychoanalysis, Psychoanalytic Psychotherapy and Child Psychotherapy’. Though some of these organizations have retained a dual membership of this new organization and of the parent organization, it seems that at present, and for some years to come, there will be two organizations monitoring trainings. It is to be hoped that a rapprochement will develop eventually. There are reasons to suppose that there will be increased State intervention in the training of psychotherapists. The Department of Trade and Industry has created a ‘Lead Body’ which is examining trainings for counselling. This area of ‘therapeutic counselling’ interfaces with dynamic psychotherapy, so what is taking place is a mapping out of fields of competency for therapeutic tasks. This has been set up because of the requirements of the EEC. An overall view seems like this: psychoanalysis and analytical psychology will continue to be regarded as offering the most rigorous trainings to psychotherapists. Intakes will continue to be small—perhaps up to ten persons per year—because of the considerable demands that are made on time and on money. Now that there are several other training organizations that are soundly based in a psychoanalytic approach, there will be an increasing number of therapists who begin their training in these organizations and may remain content with that. Some will probably seek to go further and take up these senior forms of training. 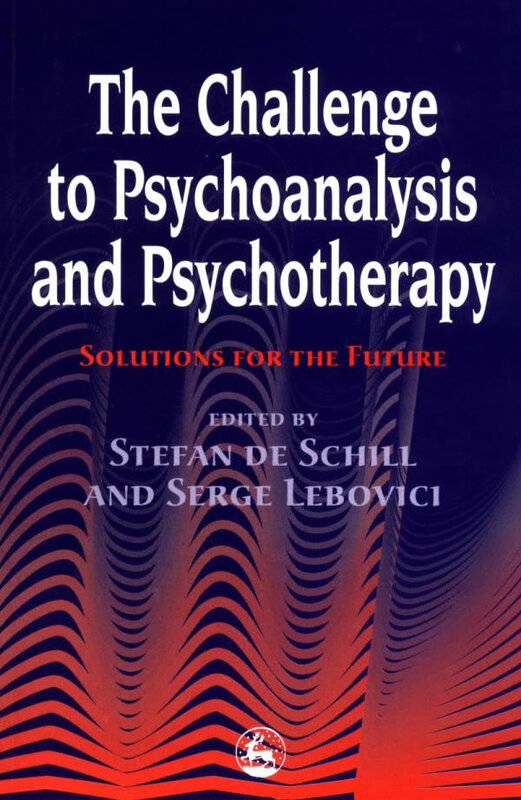 Psychoanalysis will continue to function mostly within the private sphere but a considerable number of psychoanalysts will continue, as they do now, to practise in the National Health Service and in the social services. The Psycho-Analytical Society will continue to grow slowly and one cannot at present envisage that any radical change is going to take place within the structure of the society or in the way that it views training. But, gradually, more interchange will take place both within the Institute of Psycho-Analysis and those universities which have organised degree courses in psychoanalysis, which would enhance the level of intellectual activity of both, and more exchange between British psychoanalysis, Continental and North and South American psychoanalysis within the International Psychoanalytic Association conferences, but there are signs that initiatives are being taken by smaller groups, such as the exchanges between the Independent Group of Psychoanalysts and the Self Psychologists of America. Group Analysis is a valuable form of treatment and offers treatment facilities to the National Health Service and social services which are likely to be used much more as knowledge of this spreads. There will be continued pressure for the development of briefer forms of psychotherapy and a promising beginning has been made with cognitive-analytic therapy (CAT), as pioneered by Dr Anthony Ryle (1990). The demand for ‘evidence based’ treatments is being (mis)used by some administrators to replace psychodynamic therapists by those practising other therapies (counselling, cognitive) that do not require extensive or expensive trainings. This challenge will have to be met if psychoanalytic and psychodynamic therapies will continue to hold a significant place in state-funded services. The monograph What Works for Wom by Anthony Rost and Peter Fonagy (1996), which was stimulated by this need and supported by the Ministry of Health, represents a significant step in meeting this challenge. Ahrenfeldt, R.H. (1968) Military Psychiatry and Medical Services in War. London: HMSO. Britton, R., Feldman, M. and O’Shaugnessy, E. (eds) (1989) The Oedipus Complex Today. London: Karnac Books. Dicks, H.V. (1970) 50 Years of the Tavistock Clinic. London: Routledge and Kegan Paul. Freeman, T. (1987) The Psychoanalyst in Psychiatry. London: Karnac Books. Glover, E. (1966) ‘Psychoanalysis in England.’ In F. Alexander, S. Einstein and M. Grotjahn (eds) Psychoanalytic Pioneers. New York: Basic Books. Grosskurth, P. (1986) Melanie Klein: Her World and Her Work. New York: Knopf. Hobson, P. (1993) Autism and the Development of Mind. Hillsdale: Lawrence Erlbaum Associates. Kohan, G. (1985) The British School of Psychoanalysis. The Independent Tradition. London: Free Association Books. Main, T.F. (1989) The Element and Other Psychoanalytic Essays. London: Free Association Books. Miller, E. (1993) From Dependency to Autonomy. Studies in Organisation and Change. London: Free Association Books. Pines, M. (1991) ‘The Development of the Psychodynamic Movement’. In G. E. Berrios and H. Freeman (eds) 150 Years of British Psychiatry 1841-1991. Gaskell: Royal College of Psychiatrists. Rayner, E. (1990) The Independent Mind in British Psychoanalysis. London: Free Association Books. Rosenfeld, H. (1987) Impasse and Interpretation. London: Tavistock. Rost, A. and Fonagy, P. (1996) What Works for Whom: A Critical Review of Psychotherapy Research. New York: Guilford Press. Ryle, A. (1990) Cognitive Analytic Therapy: Active Participation in Change. Chichester: John Wiley. Scharff, D.E. (ed) (1994) The Autonomous Self Collected Papers of) D Sutherland. New York: Jason Aronson. Suttie, 1.0. (1988) The Origins of Love and Hate. London: Free Association Books. Trist, E. (1992) ‘Working with Bion in the 1940s: The group decade.’ In M. Pines (ed) Bion and Group Psychotherapy. London: Routledge. Trist, G. and Murray, H. (1990) The Social Engagement of Social Science, A Tavistock Anthology Vol 1: The Socio-Sociological Perspective. Philadelphia: University of Pennsylvania Press. Trist, G. and Murray, H. (1993) The Social Engagement of Social Science: A Tavistock Anthology Vol II: The Socio-Technical Perspective. Philadelphia: University of Pennsylvania Press. Tustin, F. (1972) Autism and Childhood Psychosis. London: Hogarth Press. Yorke, C, Wiseberg, S. and Freeman, T. (1989) Development and Psychopathology. Studies in Psychoanalytic Psychiatry. New Haven: Yale University Press. Young-Bruehl, E. (1989) Anna Freud. London: Macmillan.